Well now you can find out exactly what happened when the boys in black and white played on 20th January. 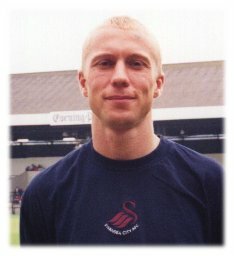 9 years ago on 20th January 2007 – Kenny Jackett’s Swans were held to a goalless draw at the Liberty Stadium by 3rd placed Nottingham Forest in Coca-Cola League One. The 16,849 crowd watched the 8th placed Swans dominate the game but found Forest keeper Paul Smith in formidable form, denying Leon Britton, Lee Trundle, Ian Craney and Thomas Butler with some fine saves. 15 years ago on 20th January 2001 – Walsall hammered the Swans 5-1 at the Bescot Stadium in Nationwide League Division Two. Unlike the 3rd placed Saddlers, John Hollins’ side were guilty of squandering numerous chances and were 3 nil down before Steve Watkin scored from the penalty spot. The result saw the Swans remain in 21st place in the table. 21 years ago on 20th January 1995 – Goals from Carl Heggs and John Cornforth earned the Swans a 2-1 win at Shrewsbury Town in Endsleigh Insurance League Two. In a battle between the 21st placed Swans and bottom of the table Shrews, caretaker boss Jimmy Rimmer saw his side win their first league match since October 31st 1994! 30 years ago on 20th January 1986 – The Swans drew 1-1 with Newport County in front of a Vetch Field crowd of 2,863 for this Freight Rover Trophy First Round game. Nigel French gave the Swans a 3rd minute lead but they were unable to capitalise on the numerous chances they created and were grateful in the end to Jimmy Rimmer producing a string of fine saves to avoid defeat. 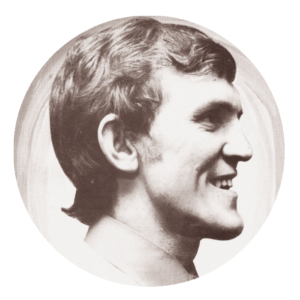 41 years ago on 20th January 1975 – Herbie Williams scored a hat-trick for the Swans as they beat Kidderminster Harriers 3 nil in a Welsh Cup 4th Round Replay at the Vetch Field. A crowd of 1,026 saw Williams make his final appearance for the Swans before emigrating to Australia to take up a coaching role with New South Wales Federation side Balgownie. Just commenting on the lead picture, probably one of my favourite shirts; still got it and wear it whenever appropriate!